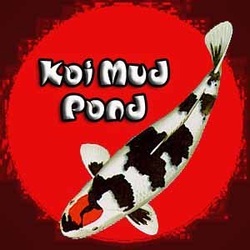 Koi Mud Pond is dedicated to helping people enjoy the beauty and pleasure koi fish have to offer. With the information and knowledge in our learning library come to know about koi and become a koi hobby enthusiast. Start here to learn how to identify different types of koi by studying the shapes and patterns of koi world champions. Soon you'll be able to appreciate the beauty and rarity of that special koi fish. Not everyone can own champion koi, but seeing koi beauty on that level can help know which koi you want to add to your own koi pond. Building a koi fish pond can be inexpensive, and something you do yourself or use an expert. Join the millions around the world that have discovered why koi fish are called "living jewels." Why do koi fish thrive in mud ponds? Find out the importance of minerals to koi and humans from TerraPond manufacturer Ray Kong. He has been eating "clay" for over 25 years and enjoys perfect health. Listen to our three interviews with Ray as he shares his many years of experience working with koi fish owners, and researching the special properties of the ionic minerals he helps bring to the world. Open your eyes to why mud is so important to koi fish for perfect health. Click here to listen to Ray Kong, an expert on the power of minerals and their ability to help heal koi, preserve health, and assist koi as they grow and develop to achieve their true potential.